Balkan Blend. That term is very mysterious. What distinguishes a blend as a Balkan Blend? These and many other questions arise from the mysterious term of Balkan Blend. This is one of the most debated and discussed subjects amongst pipe smokers when talking about blend genres. This is a subject that can seem very confusing because there doesn’t seem to be any real, clear cut, definitive definition for Balkan Blends. It seems to me that the definition for Balkan Blend is based solely on conjecture and personal opinion. Then I read G.L. Pease’s inaugural article for our site - What is a Balkan Blend? There is a lot of great information in his article that I will not re-hash in this one and I highly suggest that if you haven’t read it yet, that you do so as soon as possible. After reading his article, it once again sparked my interest in trying to find out exactly what a Balkan Blend really is. Like before, during my research, I found it extremely difficult to find any information on the subject and it seems to me that the only classification for a Balkan Blend would be the addition of Oriental tobacco leaf varietals that are used in making up that style of blend. Although the tobacco varietals are called Oriental tobaccos, they are not from Asia. They are actually from the Mediterranean region where the Balkans are located. The Balkans are also referred to as The Balkan Peninsula and most, but not all, of the Oriental tobacco varietals come from the Balkans. 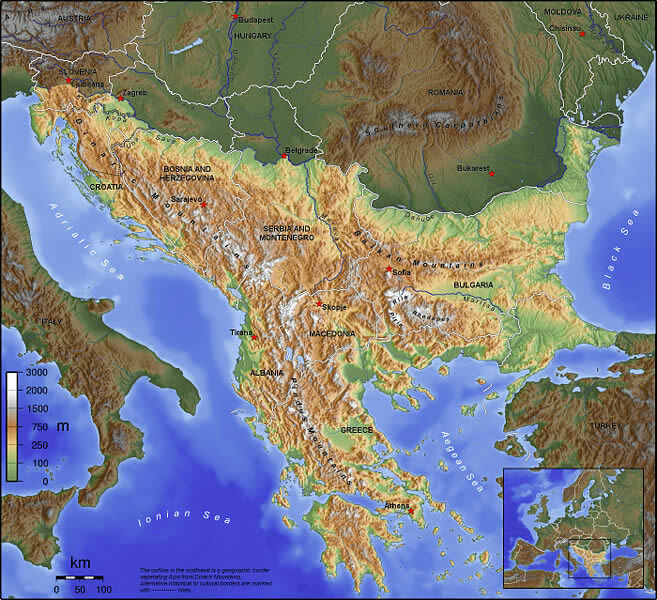 Greece, Macedonia, and Thrace are all located within the Balkan Peninsula with Turkey, Syria, and Cyprus located to the east, and outside, of the Balkans. So while all tobaccos that are grown within all of these regions are called Oriental tobaccos, only the ones grown within the Balkans are Balkan tobaccos. Does this information clear some things up or does it make it more complicated? For me, it complicates the matter even more. Based off of that information it would seem that Balkan Blends should contain not just any Orientals, but Orientals from the Balkan region. But somehow the term Balkan Blend has come to be known as a blend that contains a good quantity of Latakia and any Oriental tobaccos. It has become common perception that a Balkan Blend contains Latakia, but most Latakia is actually made from Turkish tobacco. While Turkish tobaccos are also Oriental tobaccos, they are not from tobaccos from within the Balkans. As most of you may already know, and as G.L. Pease states in his article, the term Balkan Blend started being widely used because of Balkan Sobranie. Balkan Sobranie might also explain where the presumption came from that the inclusion of Latakia is necessary in a Balkan Blend. But if the term Balkan Blend is used in the way that it probably should be, which is the use of Oriental tobaccos from the Balkan region, couldn’t all blends that contain them also be considered Balkan Blends whether or not the addition of Latakia is present? 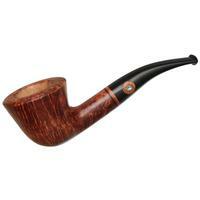 Take for example the Grand Orientals line from McClelland Tobacco. There are a few different blends within that line that do not contain any Latakia, but they do contain large quantities of Oriental tobaccos from the Balkan region. Based off of the information that I have obtained, would they not also be considered Balkan Blends? Once again, the more research that is done, the muddier the waters get and the more questions that are raised about this subject. It seems to me that the definition of what truly is a Balkan Blend is left to individual interpretation. Since I can not find any definitive proof or definition as to what makes a Balkan Blend a Balkan Blend, and it seems that it relies on personal opinion and individual interpretation, I decided to contact a few blenders and manufacturers to find out their opinions on the subject to see if I could come to some sort of consensus on what constitutes a Balkan Blend. PipesMagazine.com: If you had to, how would you describe what makes a Balkan Blend a Balkan Blend? Mary: The term ‘Balkan Blend’ is a loosely used term referring to any blend that contains Balkan tobaccos. Generally speaking, we tend to define it as a Balkan blend if it has a pretty good amount of Balkan tobaccos in it. Russ: Over the years it has come to mean, to me, a Latakia blend in which Orientals are the secondary note. So that means that after the main influence of Latakia, the next thing that you notice is the influence of the Oriental and Turkish tobaccos. That then, to me, fulfills the kind of antiquated description of Balkan. GLP: I can’t answer that question because, as I said in my article - What is a Balkan Blend?, I think the term is pretty much meaningless. But it does bring up some interesting points for discussion. Craig: Our description of a Balkan Blend is as follows: Latakia and Orientals are added to a base of Virginias. English blends may or may not have a percentage of Orientals but Balkans will always have a percentage of Orientals. PM: What would you say are the primary tobaccos used in a Balkan Blend? Mary: Orientals from the Balkans are the primary tobaccos. Other types of tobaccos such as Virginia, Burley, Latakia, etc. can be used in the blend to complete it, but it has to have Balkan Orientals as the primary tobaccos. Russ: Latakia, Oriental, Turkish  tobaccos. Virginias may be used and sometimes there may be some Perique as well. GLP: Latakia, Oriental, and Virginia tobaccos. Craig: Latakia, Oriental, and Virginia tobaccos. PM: Would you say that the inclusion of Latakia is necessary in order for a blend to be called a Balkan Blend? Mary: No. It just needs a good portion of Balkan Oriental tobaccos. PM: How would you place in order of importance the types of tobaccos used in a Balkan Blend? Mary: Orientals from the Balkan region have to be the dominate feature. There are a variety of other tobaccos that can be used to make up the blend, but the Balkan Orientals have to be the main focus. Russ: Latakia is the main focus with Orientals being the secondary note and there may very well be Virginia tobaccos. GLP: Latakia is dominate, a sturdy backbone of Virginia, and a seasoning with Orientals. Craig: I don’t think that this is a valid question because it all depends on what the blender is trying to do with the blend. Sometimes you may want a heavier Latakia content and sometimes you may want a lighter amount of Latakia. Once again, while some really good information, opinions, and discussions have been obtained, there still doesn’t seem to be a clear cut definition for what a Balkan Blend really is. There does seem to be a general agreement as to what makes one, but it is not a unanimous agreement. It seems that the definition of a Balkan Blend is still left to interpretation and opinion. While some questions may have been answered, new questions have been raised. The term Balkan Blend is still shrouded in mystery. 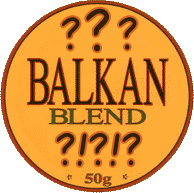 As for the answer to the question; What exactly is a Balkan Blend? Well, to quote the end of the old Tootsie-Pop commercial; The world may never know. 1. You can read why, in my opinion, that the term English Blend is used incorrectly in my article: English Blends and Latakia Blends - One and the Same? 2. Turkish tobaccos are in fact Oriental tobaccos, but are sometimes referred to on their own to distinguish them. Now that was an extremely interesting discussion. 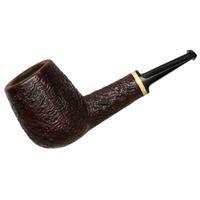 Even though the question has not been definitively answered, I do feel a little more educated about “Balkan Blends” and pipe tobacco in general. Greg’s first answer cracked me up, and the article was not only informative, but entertaining as well. It was fun to see the sometimes different and sometimes same answers from Mary, Russ, GLP and Craig. Balkan’s are one of my favourite smokes, the interview banter was awesome! Hopefully a follow-up at a later date with more findings? I accept cash or cheque Kevin :P! Fascinating that a name can cause such division. A great article, Bob. I can’t claim to be very experienced in Balkan, English or Latakia blends, so my opinion does not hold much water on the matter, but I liked Mary McNeil’s responses. Seems logical to me, but then logic has nothing to do with it. I’m a geographer by training and anybody who tells me a Balkan blend is dominated by tobaccos from somewhere else is just plain mistaken… Oversimplifying, I know and at odds with popular culture due to a single misnamed blend that was discontinued before I was born. Is it agreed that the term “Balkan” originated from the legendary Balkan Sobranie? If so, I would like to know the, general, proportional mix of this tobacco. I’ve read it contained Virginia, Latakia, and Turkish. Which of these played the role of pilot, co-pilot and navigator? The Virginia and Turkish tobaccos can’t be from the Balkan region, so that leaves us with the Latakia. Was it from the Balkan region? If not, then there is nothing “Balkan” about it other than name and in that case, Pease is right, the term is meaningless. Thanks for the article. With that in mind, I may actually buy a Balkan in the future. Sometimes, as a newbie the choices are so numerous it feels daunting to choose. 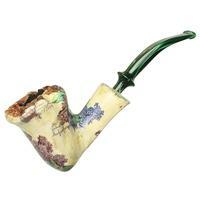 There are a wide variety of tobaccos that can be called “English Mixtures”. Many, but not all, of them contained Virginia, “Trukish”(the near east, the old turkish empire) and Latakia. One of the most famous of such mixtures was (is?) Balkan Sobranie. There were many others of the type. I did not start hearing the term “Balkan Blend” until, I think, in the 1970s or 80s. 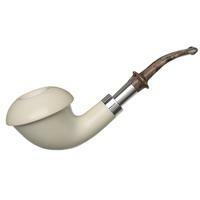 I think it meant to convey that it was an English Mixture loosely of the style of Balkan Sobranie. I thing Greg Pease made this point in his article (no time to check). So far as I am concerned a “Balkan” is not a distinct type. If the term is going to be used, it should be considered a subdivision of Enlish, not a rival division (i.e. All Balkan blends are English Mixtures but not all English Mixtures are Balkan). If the term is supposed to suggest some loose relationship to Balkan Sobranie, then everyone is free to determine the main point of resemblance). That’s what I think is clearest. Let everyone use the term as they please. Very interesting and made me think about another tobacco; Oronoco,originally Orinoco from the river in Venezuela. What do you call Oronoco now? it is grown in Venezuela? My guess is that what in USA was called oronoco was never farmed in the vegas from the Orinoco.So,it is a geopolitical map so important to classify tobacco? Er, I think this is gonna be a 3 bowl problem… of P.A. ! I, too, tend to agree with Mary. Great article Bob! Informative and entertaining. 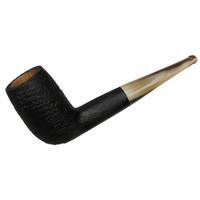 Some of this tobacco terminology is like trying to define and interpret smoke signals (pun intended)…the original meaning tends to dissipate with time and distance. Thanks Bob. We’ve all been confused about this for awhile. Mary’s responses seemed the most logical to me. Bob, your articles are always very educational. Thank you for a great read. I’m glad that everyone enjoyed the article! There are some great discussion points being brought up and I have responded to a few of them in the following posts. Like you said and as the information in my article concludes; it seems that everyone does use the term as they please without any definitive definition for it. The problem with that is; if everyone has a different definition for a certain term, then the term would really be meaningless because no one would really know what it is. It should have one general and agreed upon definition to describe what it is. Everyone knows what a wheel is because there is one definition for it. If everyone had a different definition for it then it would cease to be a wheel in a language sense. That is why the question, “What is a Balkan Blend?”, has been asked over and over again by many pipe smokers. No one can come up with one definitive answer to it which makes the term pretty much meaningless because it can not be definitively described. A geographical map may not be so important to describe what a particular style of blend is, but it really depends on certain things. In the case of a Balkan Blend; it SEEMS that the term and style of that kind of blend alludes to the usage of Oriental tobaccos and quite frequently the use of Latakia. The term Balkan Blend is associated with a geographical location on where the tobaccos that are used in the blend are grown. So in this case I think that the geographical location is very important. LOL. It is very confusing and I think it may be more than a 3 bowl problem . I have received an E-Mail from Mary McNiel from McClelland Tobacco. After reading the article she said that her comment to the last question did not come out as she had intended it to. I am posting what she said in her E-Mail so that everyone can read it and see what she really meant. In order to re-illuminate knowledge that time has forgotten one needs only to look to history. In this case, during the time of QE-I,the island race of Britain was establishing their Grand Empire motivated by necessary foreign trade which led them to and through the regions in question. The various leaf types, available at any given seaport in any given time c.1600-1900 and also from the overland trade expeditions (Balkans) who sampled and procured local blends and/or their individual components, and also including products from the Virginia area colony all contributed to the evolution of the historic English blends. I think “Balkan” blends were originated as simply the marketing stratagem of 19th century British tobacconists. Remember the original Orient Express was Paris-Budapest and later extended through Balkans to Istanbul c.1919, also Brit. involvement in Crimea 1852-1856.